Trick Applicable for Model: CASIO fx-570MS, CASIO fx-991MS, and other similar operation model. Q. What is CALC memory? -CALC memory (CALC button) is used to temporarily store a mathematical expression that you need to perform a number of times using different values. -Once you store an expression, you can recall it, input values for it’s variables and calculate a result quickly and easily. -You can store a single mathematical expression with up-to 79 steps. -CALC memory can only be used in the COMP and COMPLX Mode. Q. How to use CALC memory to calculate values of a function for different input simultaneously? For more values to input follow step 3. 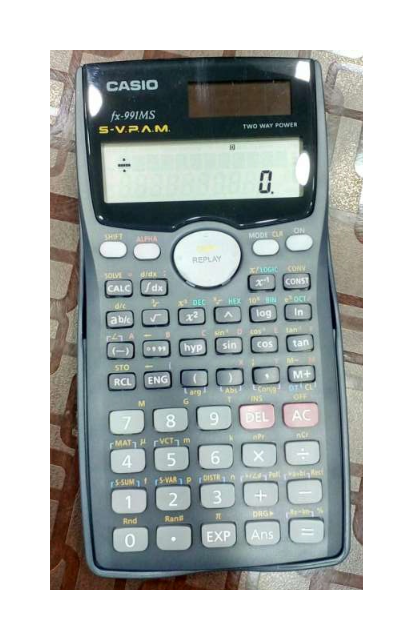 The expression you store is cleared whenever you start another operation, change to another mode or turn off the calculator. You can also use D,E,F,X.Y in the expression.